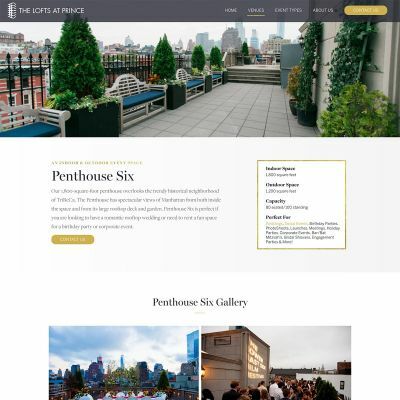 The Lofts at Prince is a beautiful event space in the Soho area of New York City. 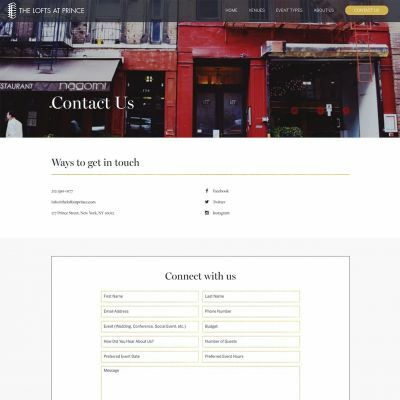 Their old site wasn’t doing enough to highlight their various event spaces and offerings so I helped them create a new WordPress site that solved that. Brendan Collins is an awesome designer who helped me in coming up with a layout that allowed them ample areas to cover everything they have to offer. They were awesome to work with and if you’re looking for an event space in New York City, I’d encourage you to check them out! Thanks to Brendan Collins for helping with the design!